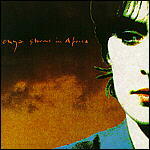 Storms In Africa (Part II) - sometimes listed with Single Version or Remix in place of the Part II suffix - is a faster tempo remix of Storms In Africa with an English lyric replacing the original's Irish one. 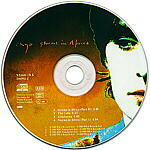 Entitled Storms In Africa (4 Tracks). Reissue to mark the 10th anniversary of Enya's debut album. The picture is brown monochrome.